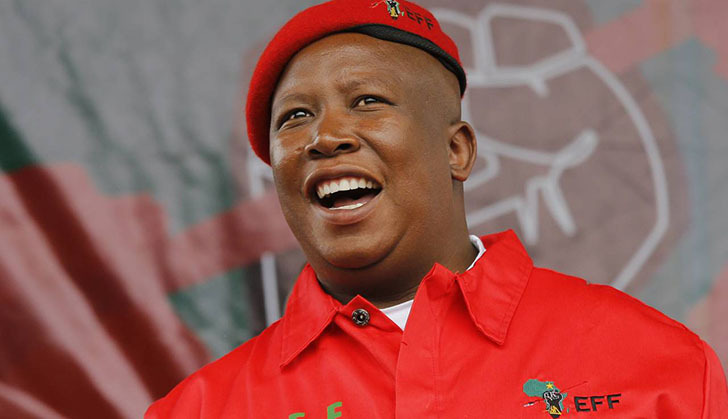 A South African publication on Wednesday reported that the Economic Freedom Fighters (EFF) had been alerted of nefarious and evil plans to assassinate their leader Julius Malema. According the Daily Sun, the EFF has said it is not taking the threats lightly. EFF acting national spokesperson Tebogo Mokwele said: "the threats from this group of politically insecure and insane individuals are informed by the fact that the EFF is on the verge of politically defeating the ANC in the North West Province, and other provinces in the upcoming general elections. "These threats are real and should not be taken lightly because the North West is one of the provinces known for mysterious and unresolved political killings. "These security threats also form part of several threats coming from right-wing forces, who use social media, private caller identities, and fake emails platforms to pose death threats against the leadership of the EFF," said Mokwele.